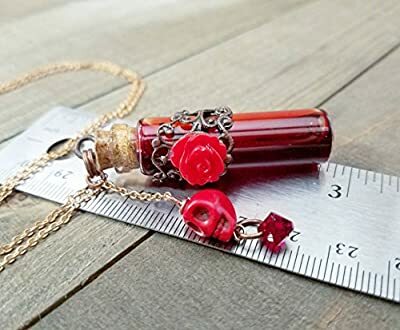 One of our absolute favorites here is our spectacular Blood Vial Necklace. 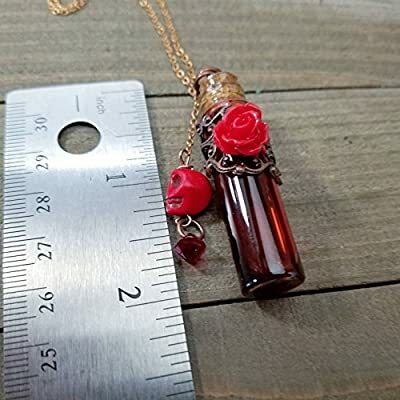 This is a high quality, very elegant looking necklace that simply oozes charm...but not blood! 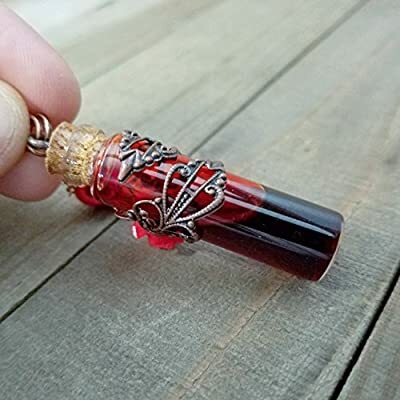 It is a beautifully decorated and detailed piece and the "blood" looks amazingly real! 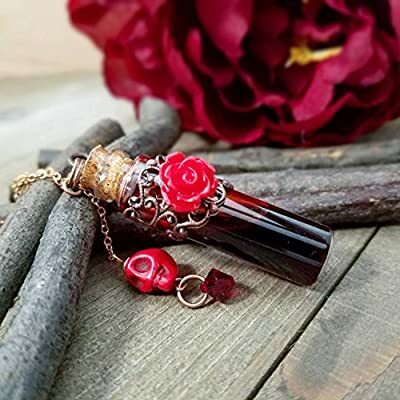 Perfect for everyday wear if that is your thing or it also makes a brilliant costume accessory for any Vampire or gothic inspired cosplay or Halloween dress up! Is it the Cure.....or is it the Curse? YOU DECIDE. 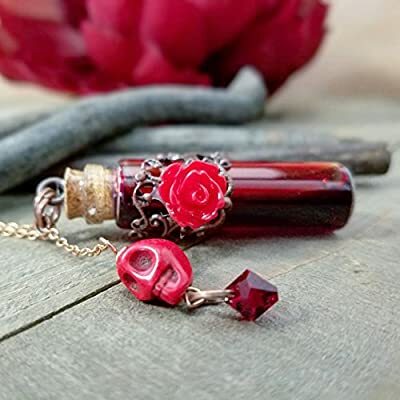 This Vampire blood vial bottle necklace is sure to make a creepy cool statement any where you roam. 2014©Wanderlust Hearts designs All Rights Reserved. 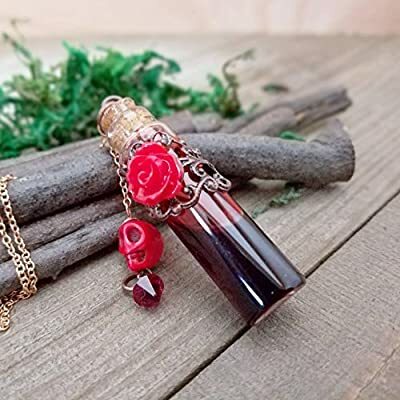 Wanderlust Hearts' Jewelry and Accessories are the intellectual property of Wanderlust Hearts. 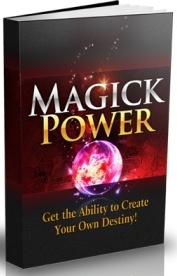 My designs are not to be duplicated in part or whole without permission. 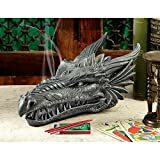 Blatant copies of my designs WILL NOT be tolerated.